SPONSORED: Dental health aides are helping Alaska Native patients in rural communities receive regular care and overcome trepidation about dentist visits. The dentist's chair—although sometimes dreaded—can be the gateway to that smooth, just cleaned teeth feeling we all find so satisfying. While many Alaskans enjoy (or, at least, make time for) regular visits to their dentist, residents in rural communities may go years without seeing one. In the past, village residents chose between waiting for the dentist to come to town or traveling to a larger community for care. 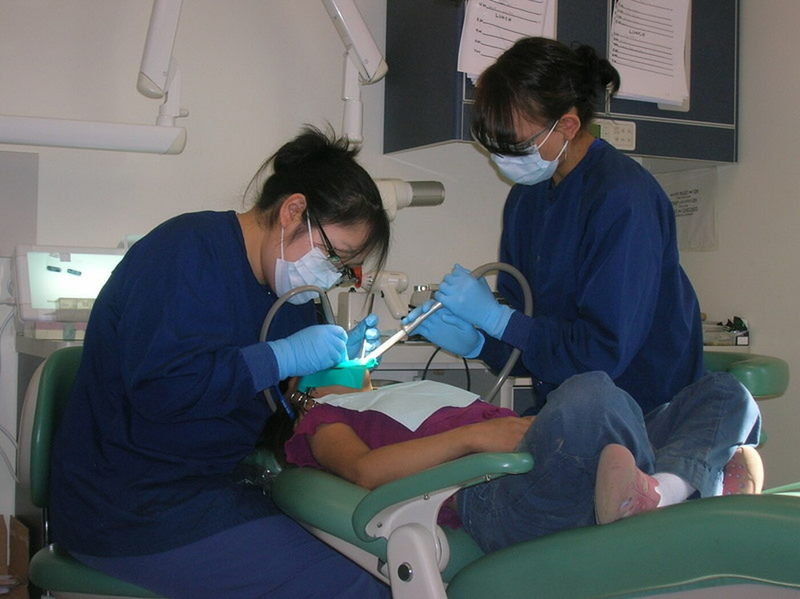 Alaska Native Tribal Health Consortium created the Dental Health Aide Therapist (DHAT) program in 2003 to bridge the gap between availability of dentists and help rural Alaska Native residents maintain consistent, reliable dental care. 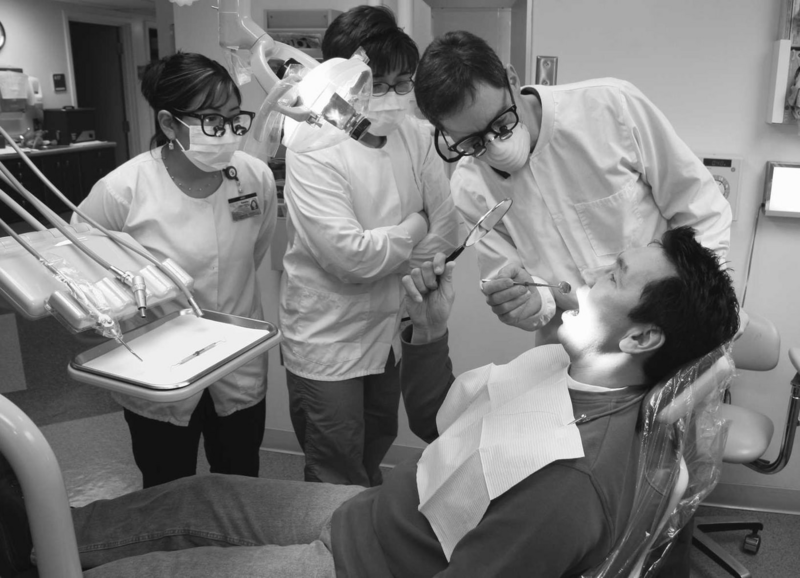 It's the first successful dental therapist program in the United States. Graduates earn a dental health therapist certification enabling them to work in rural communities. Dr. Mary Williard, D.D.S., has been the Director of Oral Health Promotion at ANTHC since 2010. She said graduates of the program serve more than 80 communities and will see an average of 800 patients a year. Dental health therapists perform cleanings, simple extractions, some pediatric care and provide dental education in classrooms. "The program is very similar in model to the medical PA (physician's assistant) program," said Williard. "Students are taught community-based basic dental care and preventative care." Originally the program was partnered with the University of Washington and students were awarded a one-year certificate for their work. Recently, ANTHC updated the program to a two-year associate degree. "We started to build a curriculum with the University of Washington in 2007, but we wanted to be able to offer student more than a one-year certificate," Williard said. She said they started looking for a new academic home for their program and found Ilisagvik College in Barrow. The program itself will mostly remain the same, she added, but the affiliation with Ilisagvik will not only expand the student's scope of knowledge, but also give them the opportunity to continue their education. Birgit Meany, dean of Academic Affairs with Ilisagvik College, said partnering with ANTHC was a good fit for the program and what it offers. "As a tribal college, our target student population is Alaska Native students, many of which live in rural areas," she said. "We felt it was important to work with another tribal organization, one dedicated to meeting the unique needs of Alaska Native and American Indian students." She said both organizations' missions aligned well and provided another opportunity for rural students to pursue higher education. Meany said the original program included one year of didactic training in Anchorage and one year of clinical training in Bethel. With the new partnership, students can complete their general education requirements through the college. She said Ilisagvik and ANTHC are collaborating to create a curriculum that works well for both organizations and benefits students by offering classes via teleconference, online or in traditional classrooms. "Students will graduate with an Associate of Applied Science degree which will enable and encourage them to pursue education beyond their DHAT certification," said Meany. "Our plan is to align the classes so they occur with DHAT and work with ANTHC to see how the program will best function." The long-term benefits of the DHAT program have been far reaching and include a substantial reduction in dental health issues for Alaska Natives as a whole. "We have one dental health therapist who has been working out of Unalakleet for quite some time," Williard said. "Last year we found out that all the children in one of her surrounding villages had no cavities—which is unprecedented—and a direct result of facilitating preventative care and education." Williard cites DHAT's focus on a small and limited scope of practice as the reason their students become so good at what they do. "Part of the therapist's goal is to address issues with patients who didn't always have the best introduction to dentistry," said Williard. "Our therapists are not just doing dental work, but developing trusting relationships within the community." Williard said she tells students the most important work they'll be doing is developing trust—not only to get patients in the chair—but to get them to come back again. Dental Health Therapist Erik Linduska has worked hard to develop that trust with his patients. A 2010 graduate of the program, he works out of the Aleutian Islands, servicing seven villages. Raised primarily in King Cove, he said his affinity for the community is what makes the job so rewarding. "I've really enjoyed making long-lasting relationships with people," he said "I consider some of these communities to be part of my family, and who doesn't like to help family?" Williard and Meany are hopeful the new degree program will draw more applicants to the DHAT program and that students from rural communities will consider applying, continue their education to become hygienists or dentists and return to their villages. "That is really the whole goal of this program," she said. "To create a pathway for rural students who become mid-level providers to pursue a higher degree."